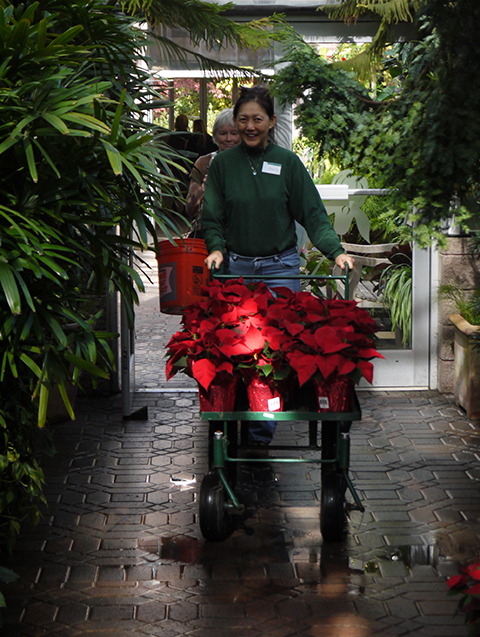 The Garden Lights display that is engulfing the Garden in a blaze of light and color swept into the Fuqua Orchid Center this week. 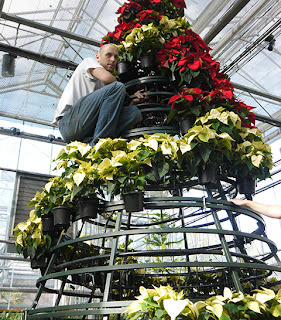 The centerpiece of the Orchid Atrium will be an 18' tall Poinsettia tree. Matt Richards reaches among the mass of irrigation tubes. 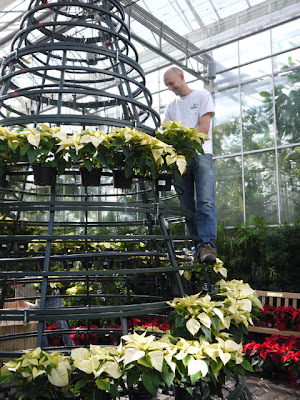 Each of the 544 plants receives its own irrigation tube. Matt and Sarah are creating a swirling spiral of creamy Poinsettias within the all red tree. The effect is lovely but difficult to create. 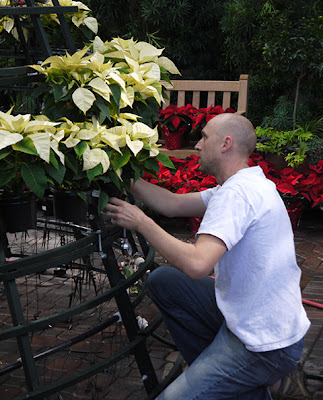 Poinsettias shatter easily and require careful handling. 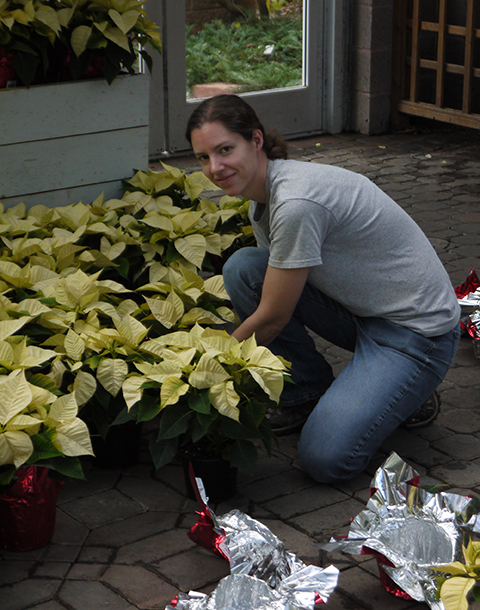 Yes, it is hot neat the roof of the greenhouse. Fine work, Matt and Sarah!